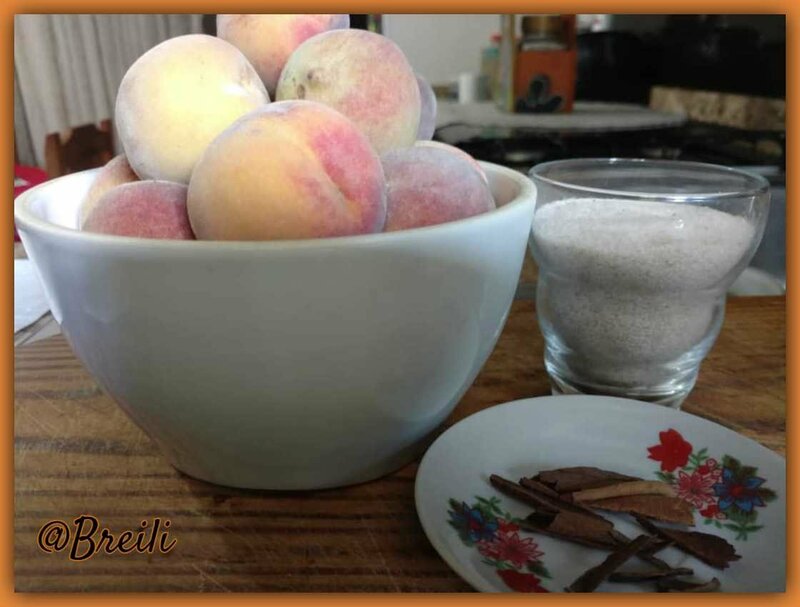 A few days ago, while I was shopping, I was seduced by the fragrance of ripe peaches, it is my favorite fruit and I did not hesitate to take them with me. When I touch them I realize that they were a good size, which means that the pulp was also abundant. 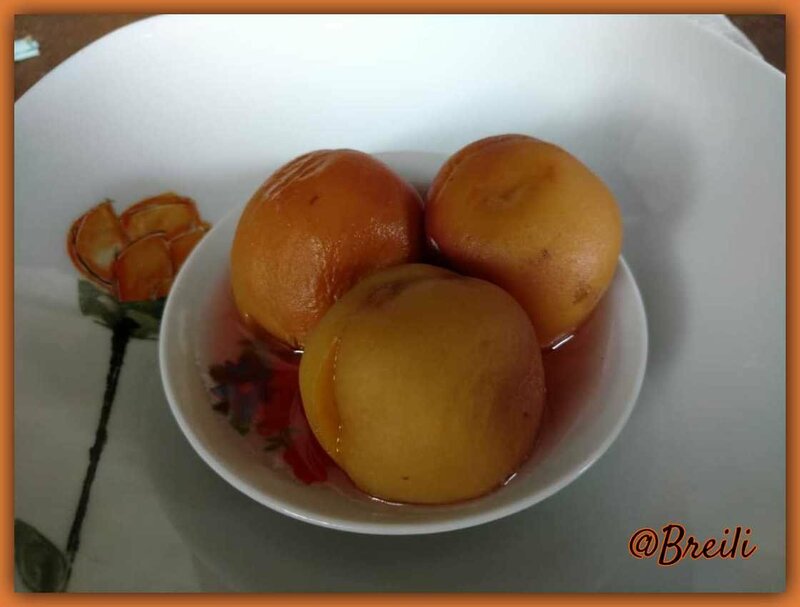 That’s when I knew that they were ideal for making a dessert very easy to make called peaches in syrup, which is nothing more than preserving the fruit in sugar syrup. This product is very famous and is sold canned, besides being expensive is harmful to health, there is nothing better than eating fresh fruit and if we can make a delicious dessert with it we will enjoy it even more. At first I didn’t want to do this article about the recipe, because it’s so simple that I thought it wouldn’t be material to develop a recipe, but then I was encouraged, after all there are always people who know very little about cooking and these basic procedures could excite them to make their first dishes. I hope you enjoy this recipe that I called the easiest dessert in the world. A kilo of large, ripe peaches. 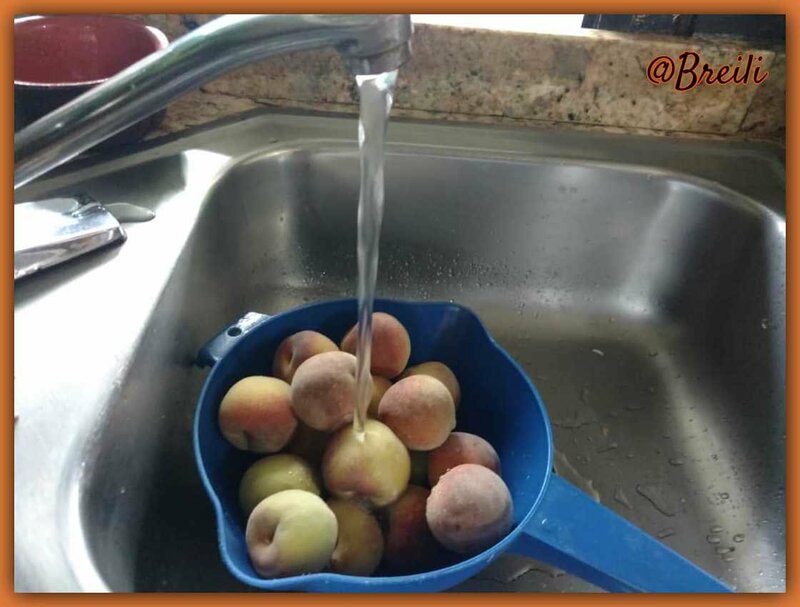 The first step will be to wash the fruit very well because we are going to eat it with the skin. 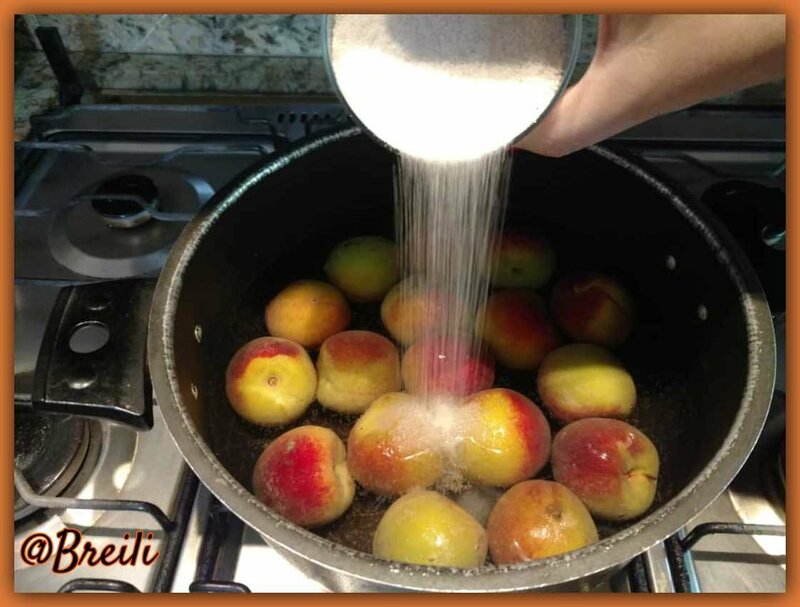 Put the peaches in a pot, cover them with drinking water and add the sugar. 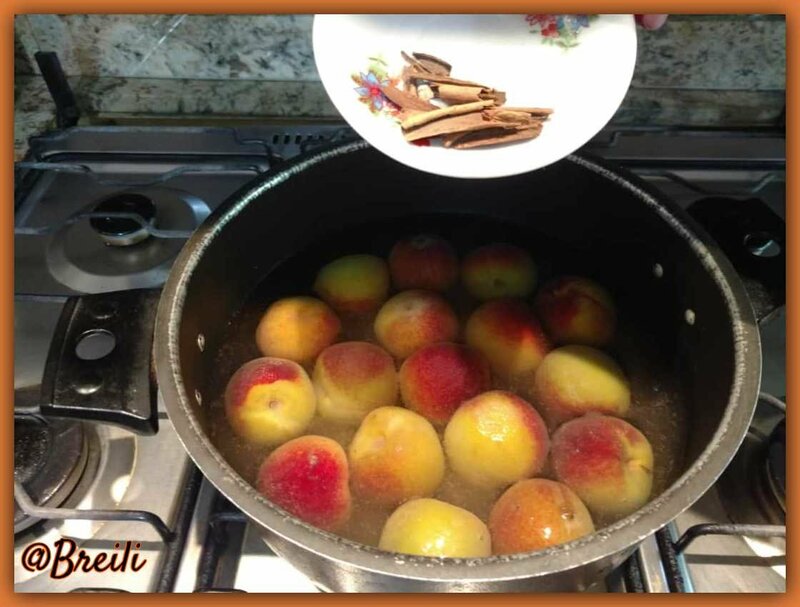 Add the cinnamon chips, the function of the cinnamon is to aromatize the syrup, the peaches do not acquire this flavor. This step is optional. 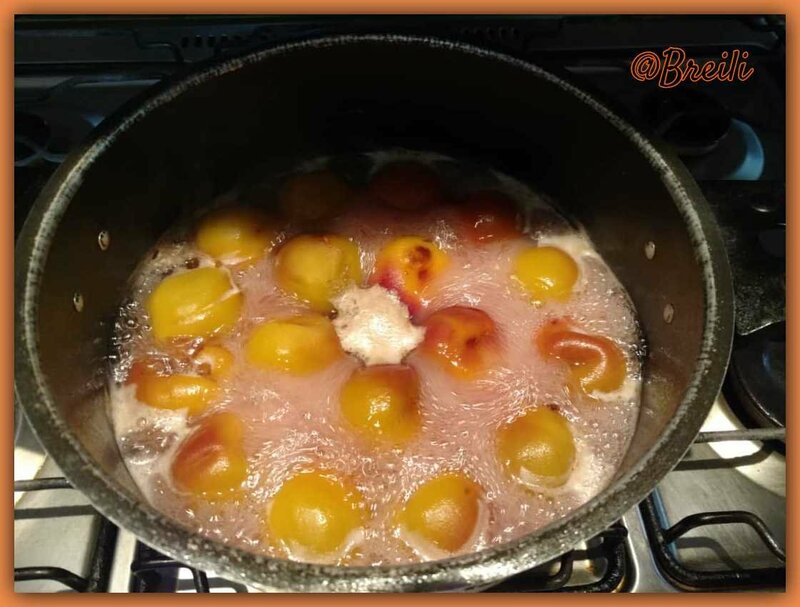 Cook the peaches over medium heat for half an hour without covering the pot, the idea is that a large part of the water evaporates. After a while we let it rest at room temperature. This preserve can be kept refrigerated for a long time and can be the ingredient of other desserts such as ice cream and cakes. 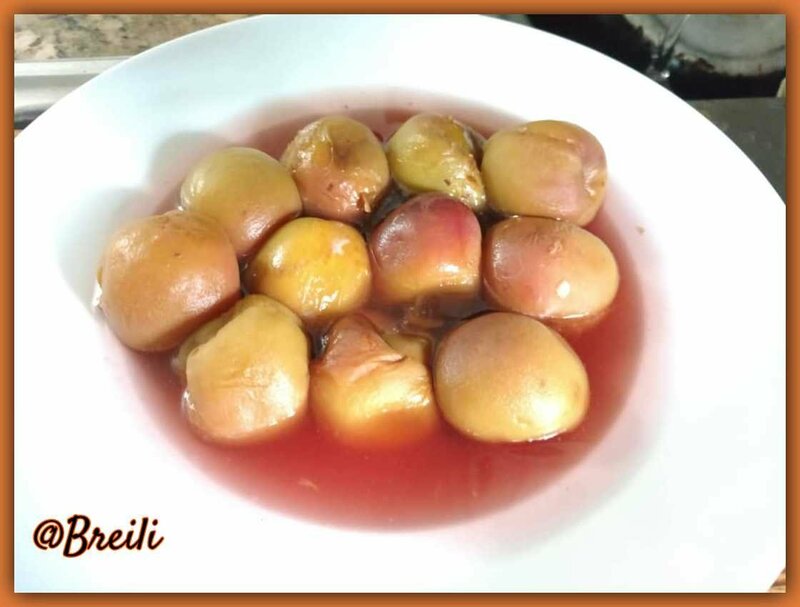 Ready we can enjoy these delicious peaches in syrup the easiest dessert in the world. – With fruit and vegetables life lasts. Say goodbye to expensive canned peaches and go home to prepare them.